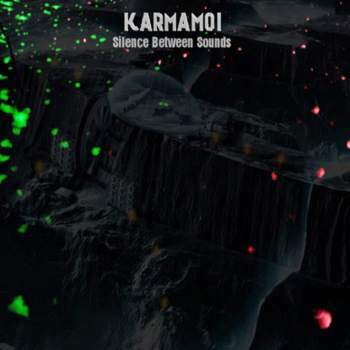 Silence Between Sounds is the third album from the Italian progressive rock band Karmamoi. Due to changes in the band line-up, Silence Between Sounds took them over two years to realise. Karmamoi used this opportunity to create music in a different way than they have done previously and took the time exploring their personal ideas of progressive rock. Being without an official vocalist, this album has more than one featured singer, although Sara Rinaldi does most of the vocals. For the first time, Daniele Giovannoni (drums, keyboards and producer and Alex Massari (guitars) have involved other musicians in the creative process whilst producer and engineer Mark Tucker (Jethro Tull) has been integral to the project working closely with Daniele as co-producer and mixing engineer. I didn't know the band and was happily surprised by the quality of this album. Although the sleeve shows 8 songs there are 7 on the album. The first two on the sleeve are one song, and with nearly 11 minutes a long one. It took me a while to write a review. After the first listening I left it for a while. But this is an album that needs a few spins. I did that more and more, and if you do that too it blossoms to the full. Great melodies, fantastic musicianship and a vocalists who can really sing. There are three female vocalists but the difference between them is not that big so if you don't read the credits you don't know who sings. Very enjoyable voices in my humble opinion. Highlights? One, the whole album. The songs follow each other in a nice way. I missed a booklet with the lyrics, but I can't be bothered about that. I wondered how Karmamoi will perform this album live on stage. They will be on Winter's End Festival in Chepstow (Wales) at the end of april 2018 and on the 27th of May they will play in 't Blok in Nieuwerkerk a/d IJssel (The Netherlands). So I asked Daniele and besides him and Alex Massari, singer Sara Rinaldi and a bass player will be part of the band.